This two day international meeting held in association with the Geological Curators’ Group will examine the role of agents, dealers and commercial enterprises in the history of natural history. 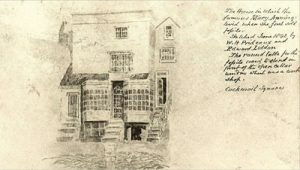 The meeting will be held in the King's Manor, a complex of medieval buildings in the centre of York. Directions to King's Manor, University of York. Download map. A great deal has been recorded about those collecting and studying the natural world over the past 400 years. Much less is known about those who helped supply them. Often underplayed and viewed as peripheral and sometimes even shady figures, the endeavours, contributions and motivations of these ‘middle-men and women’ are often overlooked. The boundaries and realities of their everyday activities are frequently blurred and sometimes misunderstood. This meeting aims to shed new light on the lives, work and impact of these often undervalued participants and contributors in the development of collections and research in the natural sciences. The lives and roles of traders and dealers in natural history collecting networks. The contributions of agents, dealers and commercial enterprises to the development of, and understanding in, the natural sciences. The role of sale rooms and auction houses and other types of businesses as part of the culture of collecting. 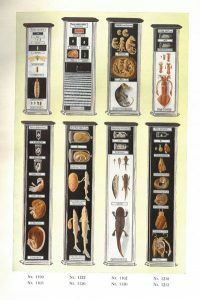 The supply of natural history material of all kinds to private collectors, museums and universities. The historical trade in specimens (living and non-living), around the world. Trade networks and routes, and the ethics of trade over the past 400 years. The role of colonialism, and those involved, in the establishment and contribution to international trade. The environmental and social impact of trade, be it political, economic, cultural, or environmental. Presentations will take place at the King’s Manor, University of York, 0n Tuesday 4th June and the morning of Wednesday 5th June. The conference dinner will take place on the evening of Tuesday 4th June. The SHNH AGM will be held after lunch on Wednesday 5th June. The afternoon tour on Wednesday 5th June will be to behind-the-scenes of the Yorkshire Museum store, approximately 20 minutes from the city centre. Alternatively, delegates can visit the displays at the Yorkshire Museum or other cultural attractions or venues in the city centre. 19.00-21.30 Conference dinner (Pre-booked diners only). Emma Nicholls, Nicole Phillips1, Annmarie Fearing1, Kelcee Smith2, Horniman Museum and Gardens, University of Southern Mississippi1, Louisiana State University2, What can museum specimens tell us about the historical trade in sawfish? Tours of the Yorkshire Museum store will take place after lunch. The store is approximately 20 minutes by car or bus from the city centre. Self-led visits can also be made to Yorkshire Museum to view the recently opened exhibition Yorkshire’s Jurassic World. Other options to be confirmed. To register please visit https://www.geocurator.org/tradingnature. The deadline for registration is Wednesday 15th May. Participants can register for one or two days. The cost of the conference dinner will be additional. £60 for student members for two days, £35 for one day. £40 for 2 days, £20 for one day (half the members rate). Participants are encouraged to book their own accommodation. Some options are available below. There is a wide variety of accommodation available in York. Visit Booking.com or Laterooms.com for a wider range. Most City Centre accommodation is within a 20 minute walk of the meeting venue. Please note: York is a busy city, particularly in the summer. We therefore recommend that you reserve your accommodation as soon as possible. Drivers should remember to check the availability of parking as this can be in short supply. 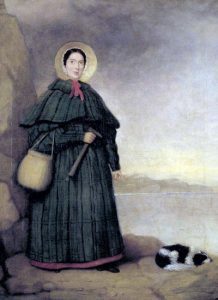 Images: Mary Anning (1799-1847), a page from a Schluter and Mass catalogue (German Natural History dealers), and Mary Anning’s house and shop in Lyme Regis from where she first sold fossils.